UFOs, abductions, and evolution? Gary Bates talks about CMI‘s new project, The Alien Intrusion movie. From the producers of the award-winning documentary Evolution's Achilles' Heels. Alien Intrusion book YOU ASKED FOR IT! 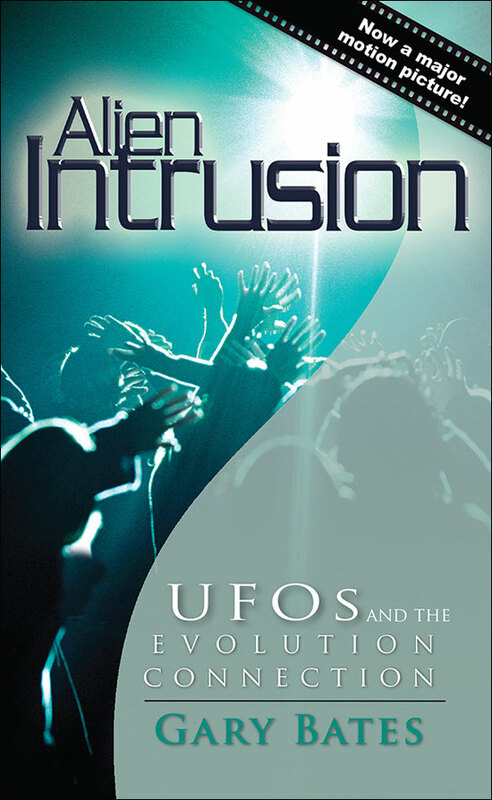 Now, at long last, a full-length movie treatment of the Amazon top-50 selling book Alien Intrusion: UFOs and the evolution connection. Gary Bates’s 2005 book is still the only creation book to achieve this feat. And this is mainly due to the subject matter itself—the UFO phenomenon, fueled more than ever by modern science fiction and its portrayal of highly evolved and technologically advanced aliens traversing the galaxy, seeding and even overseeing the evolution of life on earth. People are simply fascinated by this issue, which presents itself as an ongoing mystery to be solved. Consider the plethora of cable TV series dedicated to aliens and UFOs to understand how our culture is saturated with this subject. Such views have caused countless people to disregard the Bible's history of origins in favour of the notion of the evolution of life occurring throughout a 14-billion-year-old universe.